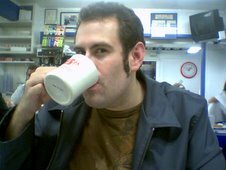 A review blog for all of the Los Angeles area's best and worst diners, breakfast joints and coffee shops. Established May 2007. Mission Family Restaurant to be reborn... as a 7-11? Nearly five years later, the vacant building is poised for a new lease on life — but not as a restaurant. A developer will convert the restaurant into a 7-Eleven convenience store. His plans include keeping much of the facade intact. “They decided they were going to honor and preserve what I consider a wonderful example of historic Googie architecture,” Clifford told the Planning Commission on Wednesday night." 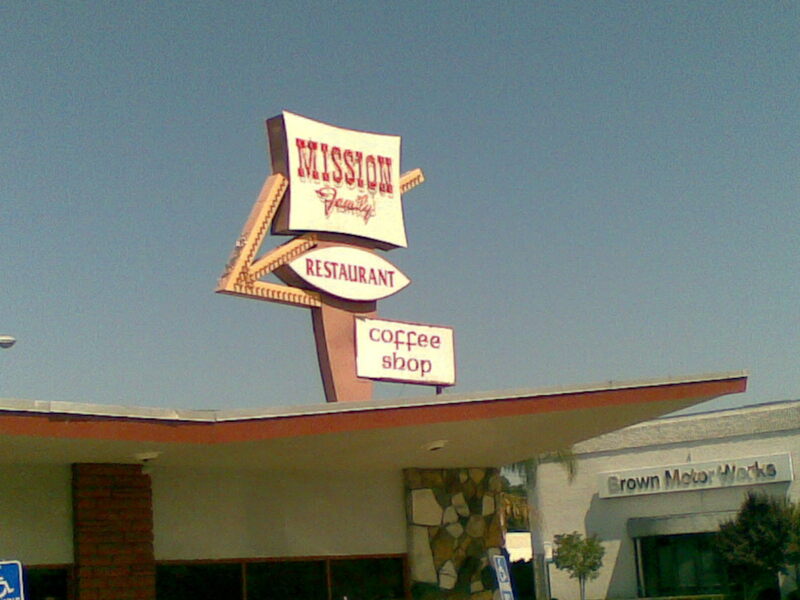 Friend of the blog, David Allen, has a new piece about the shuttered Mission Family Restaurant. #1DinerWife and I were taken over by wanderlust not too long ago and found ourselves in enchanting Bakersfield. For lunch one day we went to Milt's Coffeeshop. I love this megalithic sign. Inside is decorated with murals depicting the area through different decades. The service was not great. They were busy, yes, but our waiter seemed to be a social floater. He'd stop and chit chat with other tables while we waited around for him. Food: Decent, but not anything special. Price: Decently price for the quality. $7 to $10. I love diner food. I love it so much that I felt compelled to blog about it. Dinerwood is edited by #1 Diner Companion, Antoinette.